sarah did it! 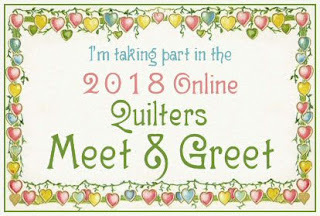 : 2018 Online Quilters Meet & Greet!! 2018 Online Quilters Meet & Greet!! Hello and Welcome to sarah did it! - my little home away from home on the internet. I'm gonna go out on a limb and guess that if you are not a sdi! regular, you've made your way here via the 2018 Quilters Meet & Greet at Benita Skinner's Creative Space. Z and I are happy to have you stop in. In fact, we hope you'll stop by again! I made my first quilt during my senior year of high school - anyone with time in their schedule could take the year long class. The standard quilts at the time were samplers and I chose "country" rose and green as it was the late 80s. What was I thinking?? My quilts now are mostly brights with purple my favorite color, followed closely by green and yellow. In fact, you won't find much pink in my stash at all nowadays. I didn't get back into quilting until maybe 2005 and that was thanks to my tatting and rubber stamping hobbies, a long convoluted story that I won't bore you with. Let's just say I don't tat much any more and my rubber stamping supplies are still in the boxes from my move from FL back to NY in 2008. In March of 2011 I taught myself to English Paper Piece (aka "hexies") which is now my most favorite kind of sewing/quilting. I love the design options but I really love the portability - I can work on a project at lunch, during a conference or meeting (it actually helps me focus), while watching tv or even while camping, I now have a hexie club that meets at our LQS once a month and does demos at local events. I also travel a bit to do trunk shows, bed turnings and classes. I host several EPP related linky parties on my blog. On the 17th of each month (my birthday!) I host HeLP for Hexie-aholics. Anyone with an EPP project of any shape or vintage is invited to join in. Several times a year this coincides with my Feline Friday Linky Parties, which are hosted by my tuxie, Zorro. The other linky party is for Wednesday Weather Reports and I'll explain more about that below. I was asked to pick a favorite quilt and that's about as hard as picking a favorite child cat but in the end I chose my "Owls in the Mountains." For years I would only work on this quilt while hiking and camping in the Adirondack Mountains of upstate New York. I started with a FQ bundle, added a few more fabrics and fussy cut owls for the centers, making rose stars until I ran out of fabric. I then ruler-quilted the finished quilt on my Bernina 430. I was thrilled to win a blue ribbon this year at my county fair! You can find more pictures and posts on my blog here. My second favorite quilt is really more of a project. Every day since 5/17/17 I've recorded the temperature at 1pm. I have a color coded temperature scale and make one EPP piece to record the day's weather. Nope - still not done. I need to finish the thermometer that goes on the right and then get this baby quilted. For the first year I used 1.5" hexagons and made rosettes, 1 for each week. When I started the project I put the word out on my blog and invited my friends to join in. It's been fun to watch them link up their weather reports each Wednesday and see how similar or different our weather is. We've had quilters from Japan, Australia, Canada, New Hampshire and New York join in. It's not to late to join in!!! There's not even a rule that your quilt has to have hexies - any temp quilt will be a fun addition. For the second year I've switched to 1" elongated hexagons and each month is a column, shown above as left to right or 1st to the 31st. This will result in a smaller sized wall hanging or doll quilt in the hopes that I can continue the project for years to come without making a bunch of large projects. I would really like to someday do an exhibit somewhere to show how the temperatures change. I can already tell you that the summer of 2018 has been *much* warmer than the summer of 2017, including several days in the 90s and more red days (80s) in the first 6 weeks of this project than in all 52 weeks of last year's project. If you would like to read more about my temperature quilt project, check out this link. Now that you know a little more about me, don't forget to return to enter your name for prizes. To win more chances for the prizes be sure to head back to the Meet & Greet to find links to more fantastic quilters. Thanks for stopping in, Good luck and I hope to see you again soon! It is a real pleasure to meet you! I am making a temperature quilt this year, as well. Aren't they fun? Yours is stunning! I am one of your blog/Zorro followers and always especially look forward to Z's posts on Fridays! Just so you know, I cannot click on the image to enter the drawing. Well, lucky me...I’ve already met you! Love the picture of you with your kitty. Beautiful quilts. As a regular follower, I am glad to know a bit more about you. The lady who got me hooked on hexies - in person no less! What a fun long term project! I do not know that I would remember to check it every day at the same time as my life is so not routine. Nice to meet you! Love the temperature quilts. I'm doing one this year with hexies. I was delighted to see you were one of the stops on this hop. Cooler temps coming this weekend. Maybe the last of your red hots till next spring. Great photo of you both, and great to see your current and past projects. Beautiful work! I've never heard of a temperature quilt, great idea. Lovely to meet you and your blog. Love your paper piecing project. Congrats! on your ribbon at the fair. LOVE the idea of your temperature quilts, but haven't gotten around to making one. I have a hard time doing any one thing EVERY day! 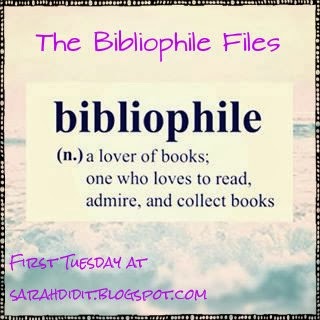 Bibliophile, eh? I can relate. Thank goodness for audiobooks so I can read and sew at the same time. EPP is my take-along handwork at library conferences and other events. I haven't tried shapes other than hexagons, though. It's nice to get to know you on the Meet & Greet. Lovely quilts. Visiting from the Meet and Greet. Very nice meeting you! Your temperature quilt is pretty. I have not heard of anyone attempting that before, very interesting. thank you for sharing! Congratulations on willing the blue ribbon for your quilt! I've seen temperature blankets done with knitting and crochet but I think this is the first time I've seen it done with quilts. Thank you for inviting us to visit! I, too, love EPP - also, self taught. Love the whole idea of the temperature quilt using the elongated hexies. What a way to see how things change. Your 'owls' favorite quilt is gorgeous and I like how you quilted it. I have seen these temperature quilts in crochet or knitting, but not EPP. What a fun way to do that. I too love your temperature project. Congratulations on your blue ribbon!! Clever idea on the temperature hexie quilt & especially fun to have others from everywhere join in. Adorable kitty too.